Defy offers a full line of exterior wood restoration products for decking and expsoed natural wood. Cleaners, Strippers, Brighteners and Exterior Wood Stains that out perform all competivie brands while maintaining a Eco-Friendly presence. Using Nano-technology, this product provides an unprecedented level of UV protection that no other clear stain has matched. 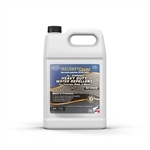 DEFY Exterior Wood Brightener removes dirt, grime, tannin, rust and fungi stains from wood surfaces. It also neutralizes your deck after using a stain stripper. Defy Wood Cleaner is a safe, powdered, oxygen bleach concentrate that is mixed with water to safely clean and restore the natural beauty of exterior wood. DEFY Exterior Wood Stripper is a biodegradable, easy to use deck stain remover that will quickly remove worn stains and restore the natural beauty of wood surfaces. DEFY Deck Stain for Hardwoods is a synthetic, semi-transparent deck sealer specifically formulated for use on cedar, mahogany, redwood, and other dense or difficult to penetrate woods. DEFY Original Synthetic Water Repellent Wood Stain is a unique water-based system that protects wood without damaging the environment. Synthetic resins give it superior mold and mildew resistance without using excessive fungicides.